Yes, I’m still alive and kicking; I’ve just been on another one of my hiatuses from this particular blog. As is usually the case, I started focusing intently on some of my other long-standing projects. In particular, I’ve been working feverishly on The Database and will have a much improved version online soon. In addition, I’m planning to start posting with some regularity again soon as I am now inching close to a landmark number in my collection: 20,000. I started this blog back in May 2011 in anticipation of adding card number 14,000 to the collection. It’s really hard to wrap my head around the fact that in a little over three years I’ve added approximately 6,000 more to the collection. I should state that “card” is a rather amorphous term — it includes various postcards, stickers, photos, coins, mini-posters and other small collectibles. However, I actually have a large collection of signed baseballs and slabbed certified autograph cards that I don’t include in that count, for some reason I’ve never given any conscious consideration to. I’m sure I’d already be beyond the 2o,000 milestone if I counted those as well. My current plan is to post card numbers 19,991-20,000 as they arrive. Although, I feel that I should probably take the time to highlight some other cards along the way. I don’t know when exactly I’ll hit that mark, but based on planned release dates for upcoming Panini and Topps products — combined with the fact that I will only be purchasing new releases for the foreseeable future* — I’m guessing that it will be no later than the middle of July. 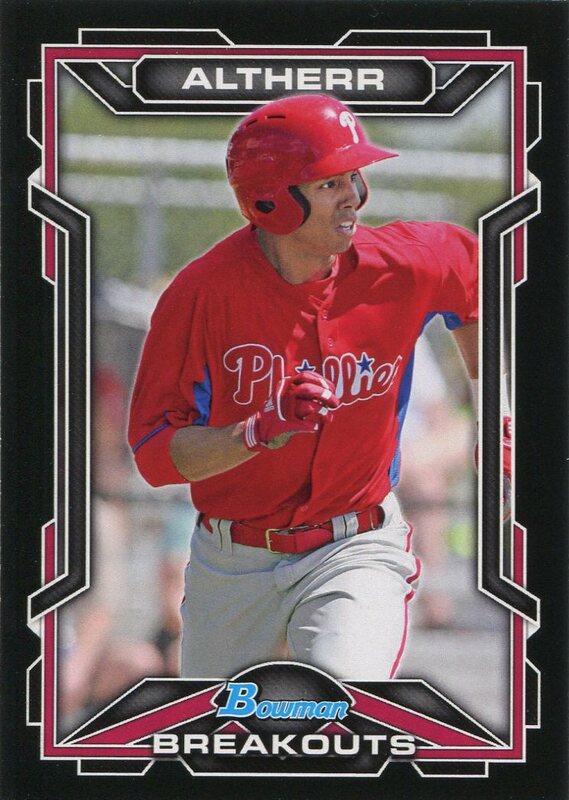 In the meantime, I feel it necessary to make a public service announcement for the incredibly awesome and limited new Phillies team set issued by Topps: the 2014 Philadelphia Phillies 60th Anniversary Team Set. I don’t know why it’s being called a 60th anniversary set, seeing as the 5″ x 7″ blank-backed cards use the 1955 Topps design, but they are only printing 99 serial-numbered sets. I ordered mine two weeks ago, but the moment I’m writing this post it appears that Topps still has some available for order. I received my set in the mail a few days ago and they are gorgeous. They even come in special wax wrapper that I will be keeping along with the cards. But the best part, for me, is this: I got extremely lucky and my set is number 01/99. Yes, I own the first one. I don’t think I own the first number of anything quite like this set. The only drawback is that it is a little pricey. 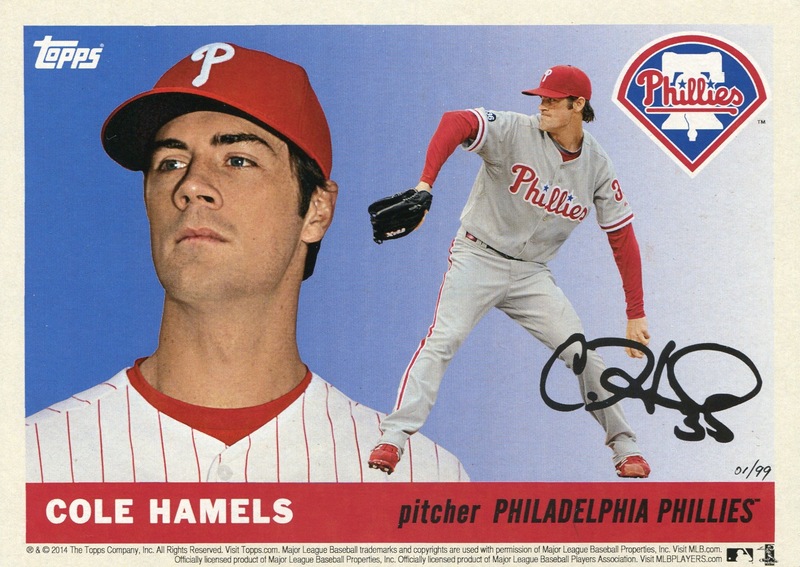 Including shipping, the five-card set containing Hamels, Howard, Lee, Rollins, & Utley will cost you slightly over $31.00. *As I get really close to 20,000, I might try to acquire a special vintage item to celebrate the milestone, but I haven’t come to a firm decision yet.